This custom peel is safe and effective with little to no downtime using the appropriate blend of lactic, salicylic and retinoic acids that will address your specific needs. The Blue Peel Radiance offers a unique blend of acids to provide a gentle but effective peel resulting in tighter, smoother, brighter looking skin immediately after just one treatment. Used to improve a wide range a skin conditions including acne, scarring, photodamage and melasma. 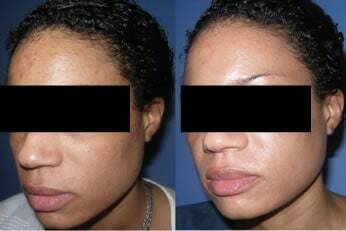 A professional model from South Florida who was treated for acne. These photos were taken four days apart. 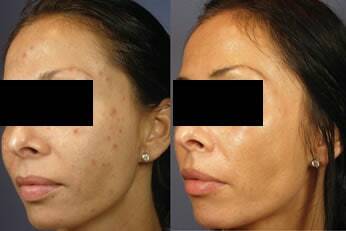 This South Florida patient sought treatment for her adult acne and hyperpigmentation.